It was just a matter of time, right? We knew Samsung had to be working on a Bixby-based Amazon Echo/Google Home competitor. 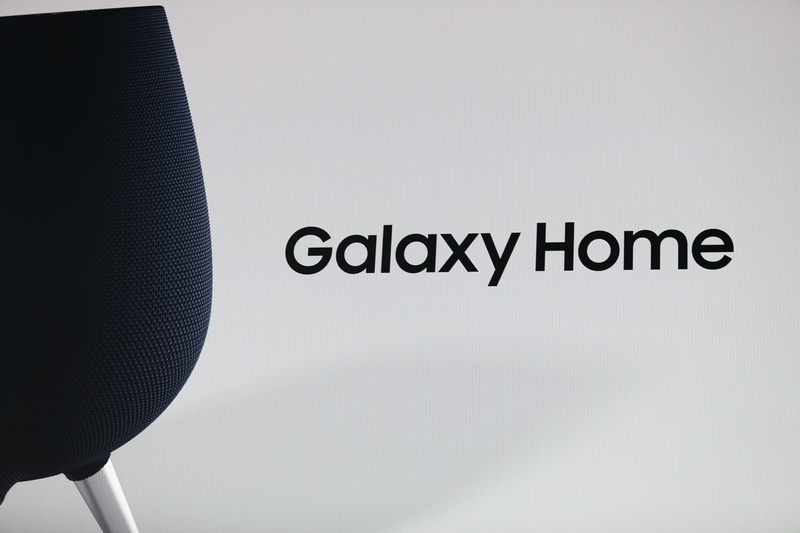 Welp, the Galaxy Home was announced at today’s big Note 9 event, and the device is going right after Apple’s HomePod with a premium design and what looks to be some high-end hardware. Given the design and Samsung’s device history, I’d expect the thing to cost an arm and a leg — or, at the very least, something similar to the HomePod. Dozens of the devices were present at the event, partially powering the sound system for today’s keynote. Naturally, the company’s smart assistant is the key to the product, which is, well, a mixed bag at best. Bixby got off to a major rough start here in the space and still doesn’t offer much to differentiate it from Alexa/Assistant/Siri and the like. Instead, the company is no doubt hoping to make existing Galaxy users the base here. Given that Samsung has failed to offer a decent music streaming service of its own, the company found a natural partner in fellow Apple competitor, Spotify. The popular music service will serve as the basis for the smart speaker’s music playback. That in and of itself may be enough to cause users to give it a second look. Though the Google Home Max, notably, also lets users make Spotify the default choice. As with the rest of the competition, smart home functionality is also key, with Samsung’s SmartHome service as the the basis of that experience.